For today's post I decided to spotlight one of my all time FAVORITE authors! If you know me, you know I do NOT like reading very much and it takes me forever to get through a book. WELL, this author I am going to spotlight has changed that for me. Her books are so eye catching and the stories just pull you in and you can't put that darn book down! She has a mixture of different books from fantasy to fiction which is fantastic. This author's name is Michelle D. Argyle. She offers kindle editions along with paper pack and hardcover copies which is amazing because I tend to lean more towards kindle editions because I read when I can't sleep! My two FAVORITE books that she has wrote thus far are CATCH which is a story about a girl who meets a guy while on vacation who can be considered kind of sketchy. This is my most favorite book. 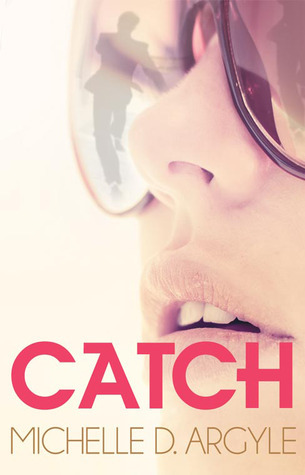 It is a quick read but so catchy and pulls you in. The next best part is you can get this book for FREE if you get the kindle edition. 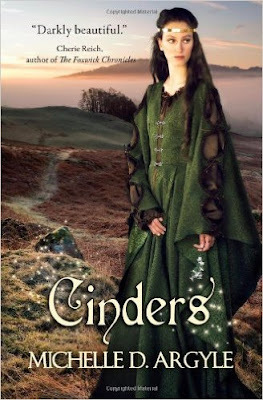 My next favorite book which I am currently reading is CINDERS which is a book about Cinderella and her life after marriage to a prince and how it isn't what she expected exactly. This book is really good and such a fun story and idea. This book is $2.99 in the kindle edition but is also available to purchase in paperback. With all this being said! I am going to be GIVING AWAY one of Michelle's books in paper back edition or in kindle edition. YOUR CHOICE! 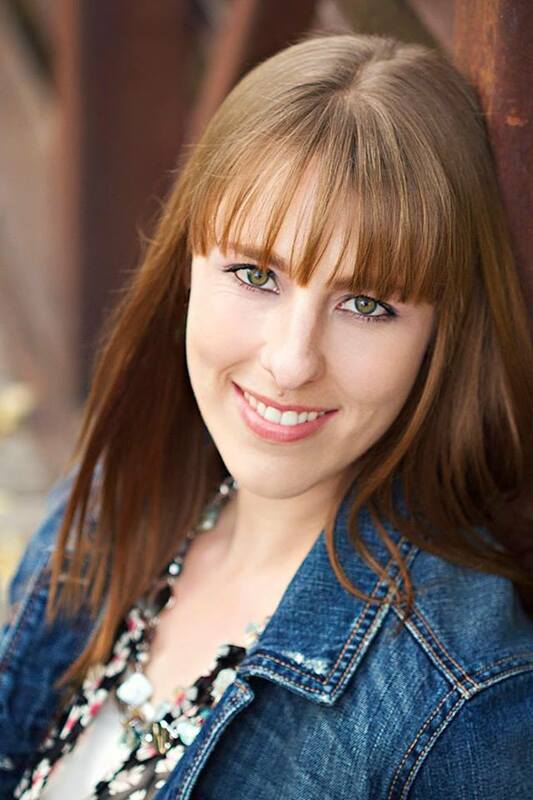 Comment on one thing you learned about Michelle & why you would love to win one of her books! The giveaway will start today 4-14-16 and will go until 4-24-16. The winner will be announced Monday the 25th. My name is Michelle Argyle. I publish under the name Michelle D. Argyle, and I've been writing seriously for 20 years. I have 9 published titles to my name. I write contemporary fiction and some fantasy. Why did you become a writer & how did you get into it? What is your favorite book you have written so far? While that's kind of like asking a mother which of her many children she loves the most, I'll narrow it down and say that my favorite book I've written is If I Forget You, a story about a girl who's so bad at remembering faces and names that she falls for three different guys because she thinks they're the same guy. Sadly, this book is also my least read book, but I still love it dearly. Avery, the main character, is more like me than any other characters I've written. Sometimes I ask myself why I love writing so much. It's certainly not easy, and it often doesn't feel very satisfying because success is hard to reach in this day and age of publishing. But there's no feeling quite like finishing a novel and knowing that it's something nobody else but me could have created. Writing changes me for the better. I learn more about myself than I could in any other way, so it's definitely rewarding in that respect. When I die, I'll die knowing I left a part of me behind that other people can hold and experience for a long time to come. There are several author friends of mine who have changed me in ways I can't even begin to describe. If it weren't for them, I would probably have quit writing years ago. I hate to name anyone specifically because it means I'm leaving out others, but some of the most influential authors who have continually helped and inspired me in this harsh industry are Jenn Johansson (writing under J.R. Johansson), Janci Patterson, Kathryn Purdie, and Natalie Whipple. What is something interesting about you most people don't know? Most people know I love food, but many might not know that I love very strange food like peanut butter and tomato sandwiches, liver, and pretty much every kind of cheese ever made. And make sure to follow her on all of her social media to stay in the loop! Good luck everyone & thank you for following The Mr. & The Mrs.
She likes peanut butter and tomato sandwiches? I wonder what they taste like? I'm surprised she wrote her 1st novel at 16 but not surprised it took 20 years to publish it. It's extremely hard for unknown authors to publish. I admire her patience and persistents! Can't wait to read on of her books. I may start with her favorite. Thanks for introducing me! I actually didn't know her at all prior to reading this. It's interesting that in 20 years of writing seriously she was able to publish 9 books (basically one book every two years!) I'd be interested to read her books because 1. I just enjoy reading, and 2. it would be interesting to read the style of book that she said no one else was writing. I learned that she started writing at 10 but serious writing at 16 , her favorite book she's wrote is if I forget you, which sounded very interesting and my kind of book! I'd love to read it. I would love to win one of her books because I love to read on my free time while my 2 and 3 year old is asleep. I love reading new authors !